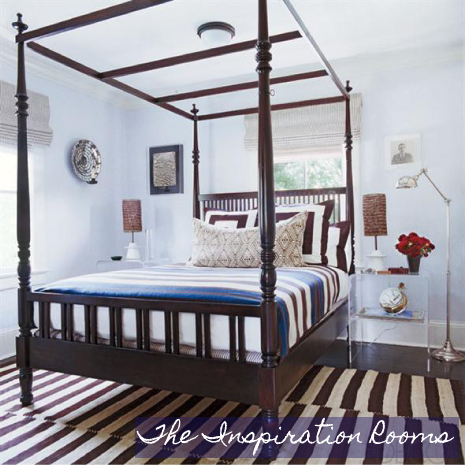 Have you ever had a four poster bed? 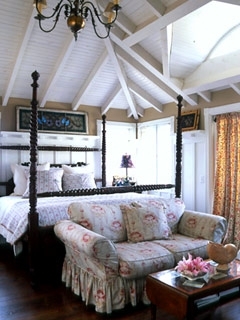 We love the way they can make such a dramatic presence while at the same time creating a cozy sanctuary. Something about having a tall headboard and footboard with the towering pillars all around that makes you feel secure and can rock you to sleep. We’ve just added a few four poster beds with loads of character to our Tuvalu Home online store and can’t keep our eyes off rooms that feature similar styles on Pinterest and the like (do you follow our Pinterest?). Take a look at what we’re envisioning with these three new pieces. Did you happen to see House Beautiful’s latest magazine on decorating with green? 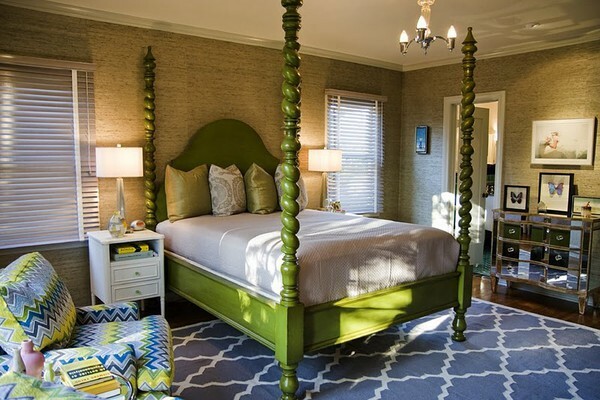 They’ve declared it their “Color of The Year.” This kelly green bed can get you started on this new trend. 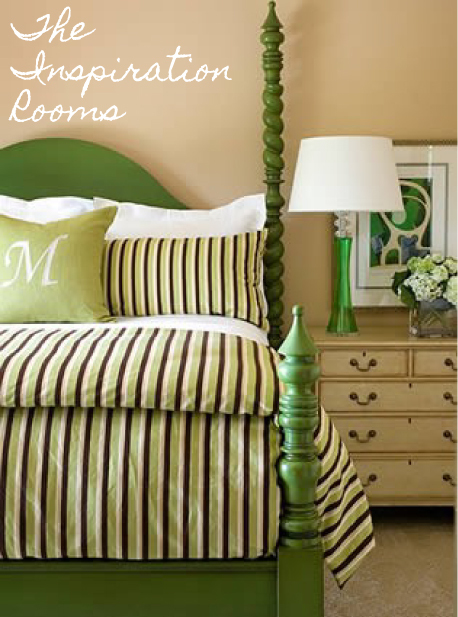 Pair it with a punchy pink for a more preppy look or keep it muted with shades of green and neutral yellows and browns like you see below. 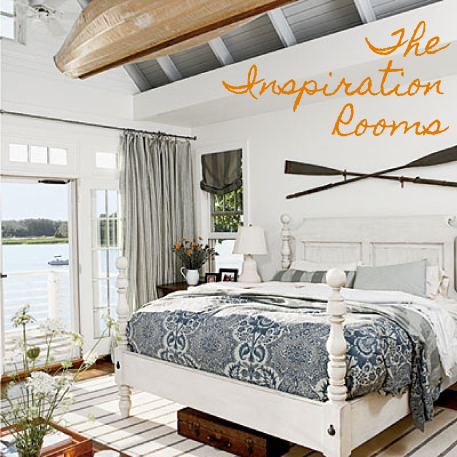 Want that coastal feel in your bedroom? 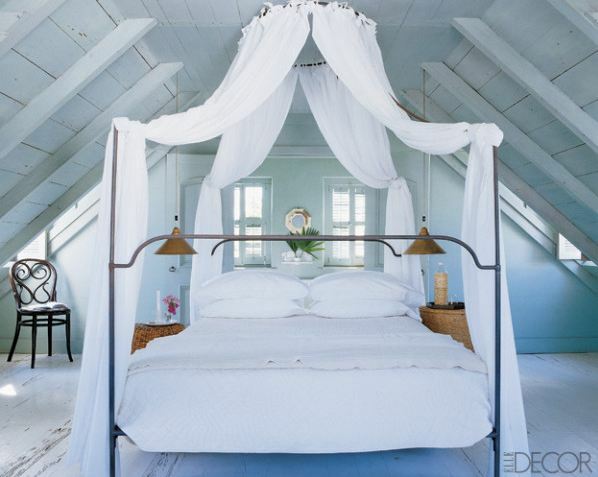 These white four-poster beds are just the trick. Add breezy white sheers to create a canopy and you’ll feel like you’re in the Bahamas! Are these too feminine for your partner’s approval? A great way to compromise on the bedroom decor is to juxtapose the masculinity of this dark bed with light toned bedding and wall colors. Steer away from floral fabrics and stick to stripes and plaids or more graphic prints. That way you both win!